I’m studying the Master of Social Work part-time at the JCU Townsville campus. I chose JCU because I wanted to be able to attend classes and network directly with other social work students. I definitely have benefited from the accessibility of lecturers and support of other students at JCU. I have felt connected to a highly supportive cohort of students. It is incredible to reflect on the diverse range of skills and experience across a cohort of Masters students who truly come from all different walks of life. I feel strongly that I am on the right track to make a positive contribution with my work efforts and I look forward to where this new qualification from JCU will take me. I studied in the 1990s and went on to do my honours degree at JCU directly after that. In 2001, I moved to Sydney to join the graduate program at the Reserve Bank of Australia (RBA). After three years in the RBA’s Financial Markets Group, first as an analyst and then as a senior dealer, I moved from Sydney to London where I worked for Deutsche Bank as a fixed income specialist for three years. At the end of 2007, I returned home to Townsville and that is where I have lived ever since. I resigned from my role as the Business Analyst at The Ville Hotel and Casino during my maternity leave following the birth of my first-born bub in 2010. Since then, I have been blessed with a baby girl born in 2012 and then my baby boy born in 2014. Full-time responsibility for their care has totally consumed me throughout the seven years that I have been home with them and it feels as though motherhood has completely rewired my brain! While I had always enjoyed study and done well academically prior to having children, I was not confident this would be the case following so many years at home in such a different setting to what I remembered of academic life. It has been highly satisfying to find that I actually enjoy the study experience even more at this later stage of life, and I have still been able to attain the high marks that I have always strived to achieve. The juggle of managing study commitments with the demands of family life have brought a welcomed change to dynamics, which has been good for me and my family. My social work studies have highlighted that there is no set formula to follow in order to work out what is best for the family unit. Every family is different and should be supported to work this out for themselves. I like how strongly the social work subjects at JCU align with this outlook. I value the anti-oppressive focus of my studies at university. 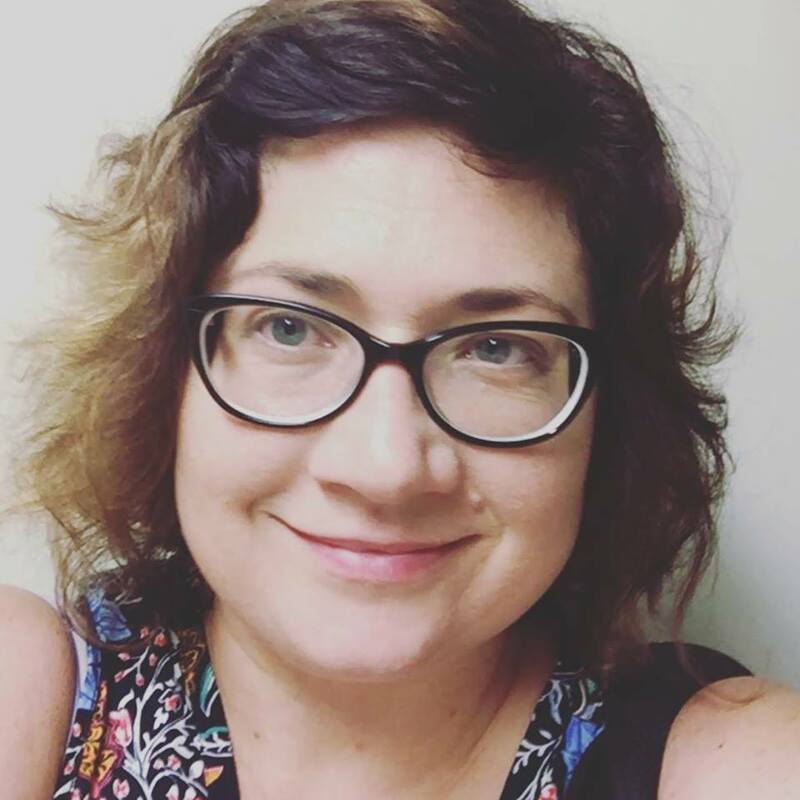 I also have a deep appreciation for the cultural awareness throughout the social work studies at JCU in regards to acknowledging the true history of Australia, the resulting intergenerational trauma across Aboriginal and Torres Strait Islander communities, and strengths of the First Nations’ people of Australia. As an Aboriginal social work student, I really hope that this transfers strongly into practice. I truly value that, unlike at other universities, both the undergraduate and masters programs require all social work students to undertake a subject on Aboriginal and Torres Strait Islander Skills and Frameworks for Practice. While it has been rewarding to prove to myself that I am capable of applying myself to further studies, I am more proud of how my efforts at JCU provide my children with insights into otherwise unknown areas of their mum's capabilities. 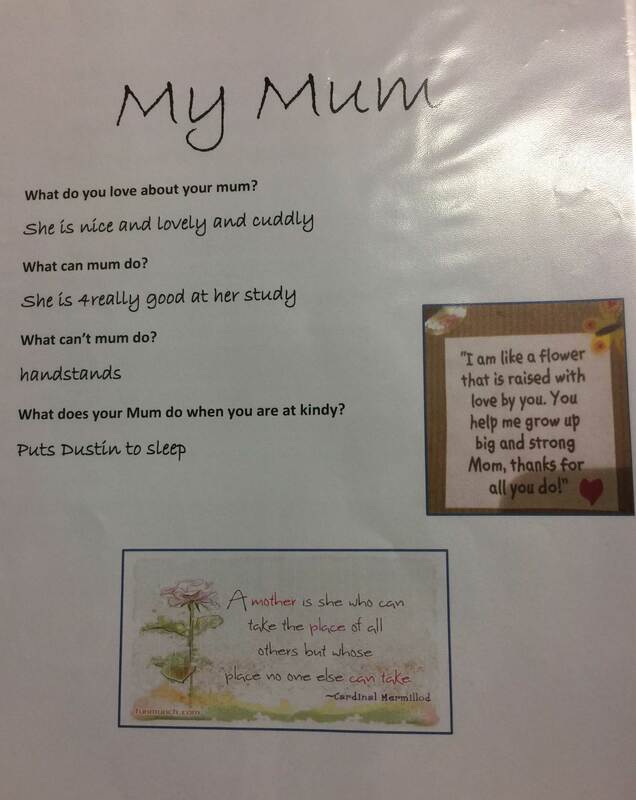 I got a buzz from seeing my daughter's response in her Mother's Day Quiz to the question: "What can your Mum do?". My daughter answered: "My Mum is really good at her study". As a side note, when asked what her mum couldn’t do, my daughter answered: "Handstands". This Mama feels capable of doing anything these days! I read that line and immediately flipped myself upside down stretching all sorts of muscles that have not been stretched in a very long time! So it is not just the brain but all parts of the body that are getting a work out since embarking on my Masters.